Block , Ring , Arc, Disc and Rhombic. According to different raw materials , there are Ferrite Motor magnets,SmCo Motor Magnets and NdFeB Motor Magnets. NdFeB motor magnets have features of low temperature coefficient and low weight loss. 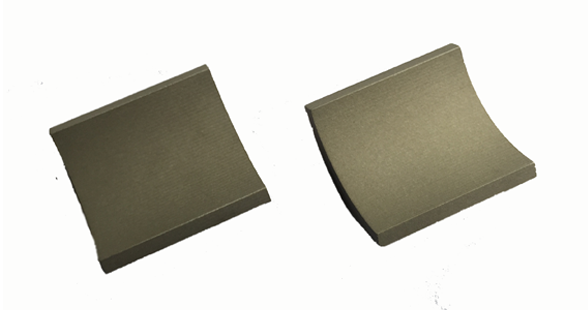 Samarium motor magnets have better corrosion resistant and can working more stable on high temperature. Ferrite materials is cheapest, but always need big tool charge for new samples. 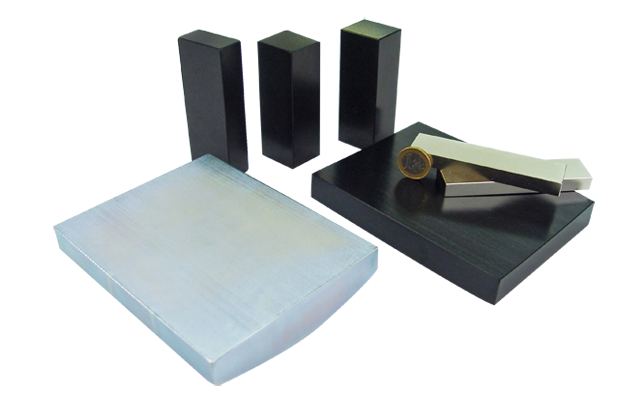 Rare earth segment magnet,arc magnets,motor magnets are mainly used for various motors, generators, such as Elevator Motors (Traction Machines), Wind Turbines, Servo Motors, Motors for Hybrid Electric Vehicle or Battery Electric Vehicles, Linear motors and Compressor Motors, drive motor for ship, etc. 4. Superior anti-corrosion technology: Aluminum composite coating can withstand more than 500 hours under NSS test. Teflon coating can withstand more than 500hours under Neutral salt spray test. 3. Better working stability than NdFeB magnets in high temperature.